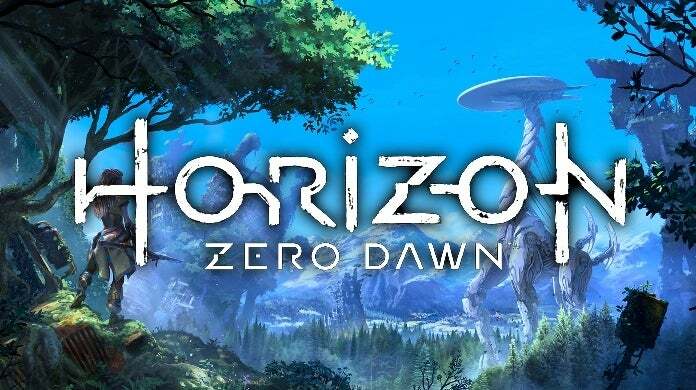 According to a new rumor, a follow-up to Guerrilla Games' critically-acclaimed 2017 open-world action-RPG, Horizon Zero Dawn, is in development for the PlayStation 5, and slated to release in 2021. As you may know, we already know a Horizon Zero Dawn 2 is in development, thanks to a voice actor on the game leaking it earlier this week. However, this is the first time we've heard anything about a release window. All things considered, what's surprising here isn't that a sequel is in development, but that it's coming relatively soon. The new leak comes courtesy of a nameless European developer that is said to be working on a PS5 launch title, and who dumped a ton of PS5 information onto the Internet -- including its launch line-up -- in a post on Pastebin. The leak doesn't provide any evidence of Horizon Zero Dawn 2 being 2021 bound, however, of the claims made in the post, this seems the most reasonable, even if I think it's a year earlier than I'd expect the game to hit. Horizon Zero Dawn took six years of development. If the same is expected to happen with the sequel, then we won't be seeing it until 2023. However, sequels normally are quicker to develop due to less incubation time and a multitude of other reasons. However, Horizon Zero Dawn 2 -- or whatever it winds up being called -- will also be a PS5 game, so Guerrilla Games has to get up to speed and learn new tech. Still, I don't think development of a sequel will take six years. But five? Maybe. Four? It's possible, but I doubt it, especially if the game is as crazy as the aforementioned voice actress hypes it up to be. Of course, all of this should be taken with a grain of salt. While Horizon Zero Dawn 2 is almost certainly in development and coming to the PS5 early in its life cycle, the information provided in the Pastebin post has as good of a chance of being fake and incorrect as valid. In other words, would I go to the bookies betting on Horizon Zero Dawn 2 being real? Yeah, but I wouldn't go there betting on it releasing in 2021. Anyway, as always, feel free to leave a comment letting us know what you think or hit me up on Twitter @Tyler_Fischer_ and let me know there. When do you think Horizon Zero Dawn 2 is releasing?